‘Investment and innovative opportunities of Halal industry’ — the name under which was held the conference in the framework of the international forum KazanSummit-2016 on 19 May. The platform brought together the representatives of the Muslim clergy, government officials, manufacturers, Islamic experts and journalists. The participants, among whom was the correspondent of Realnoe Vremya, noted that the proportion of Muslims in the world is growing, so will grow the demand for Halal products. The first one who gains a foothold in this niche — will be the winner. Tatarstan, being one of the brightest Muslim regions in Russia, tries to be the most ‘halalised’. Therefore, it uses all sites to attract the attention of the Arabs to expand trade and economic ties. According to his calculations, by 2018, the Halal global market is predicted to be at $1.6 trillion. In Europe, the consumption of Halal products is estimated at 65 billion euros per year. By 2025, the Halal share in the world will be at least 20% of the total output. In Russia, where there are more than 20 million Muslims, the demand for Halal products has grown dramatically ‘due to its high quality’ over the past decades. ‘In Tatarstan, the capacity of this market only for food products is already assessed at 100 billion rubles — that’s $1.5 billion. Public catering enterprises, shops are being opened. Our task is to protect the brand from unscrupulous manufacturers,’ said Akhmetov. In Tatarstan, according to the Minister, more than 30 agricultural enterprises produce Halal products. 24 enterprises are ready to work for export, supplying their products to Muslim countries: bakery products, lamb, poultry, beef, sausages, eggs, dairy products, honey and other. 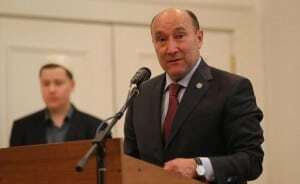 ‘The opening of the markets of Muslim countries for Halal products from Tatarstan will promote the establishment of closer relations between our peoples,’ said Akhmetov. As the President of the World Halal Council (WHC) Sheikh Zafer Najjar added, by 2050, 70% of humanity will profess Islam. Accordingly, the demand for products and services that comply with Sharia law will only grow. However, not everyone understands the meaning of the word ‘Halal’. As Descartes bequeathed, before to discuss something, you need to define the terms. The famous Muslim theologian, a member of the Committee for Halal supervision of Syria, the head of the Levant scholars Muhammad Tawfiq Ramazan Al-Bouti noted that Halal includes three points. First, religion. According to the Koran, people should consume clean allowed foods. Secondly, it is a cleanliness: it is forbidden to consume the filth and what causes disgust. Thirdly, health: what is harmful to health — prohibited to Muslims. ‘I agree with the Minister of Agriculture: what is forbidden by religion, in fact, brings harm. It is unacceptable to consume for food. We have in Syria this issue thoroughly considered in various Ministries — of Economy, Health, Industry and others,’ concluded Al-Bouti. However, Russian producers for various reasons place the inscription ‘Halal’ anywhere. 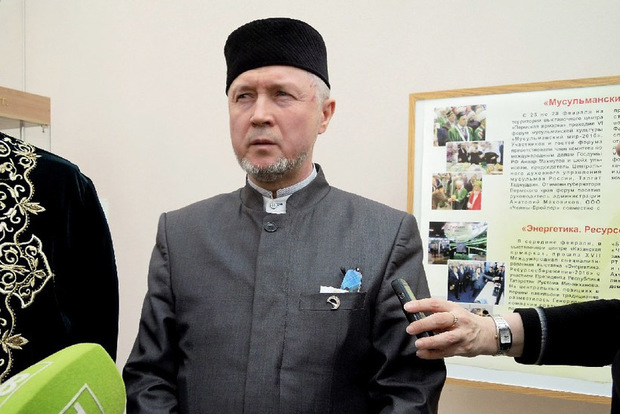 Taking this opportunity, the correspondent of Realnoe Vremya asked the chairman of the Committee on Halal standard of MRB RT Marat Nizamov the details of the use of this sign. There have been many counterfeits recently revealed, when under the sign of ‘Halal’ they sold the products that are not Halal. For example, several years ago there was a scandal over ‘Tsaritsyno’ sausages. How to deal with these fakes? There are different situations. There are deliberate actions of unscrupulous entrepreneurs, there are errors in technology, there is simply ignorance of that the mark of conformity ‘Halal’ should be by permit only. When the conformity mark is placed on the label, it means that the responsibility is taken by the certification organization. It is necessary to consider each case separately. Marat Hazrat, sometimes the sign ‘Halal’ is placed on the products, which in general do not need it: flour, bread, eggs, cereals, honey and even matches and toilet paper. Are there any boundaries where it is not needed it to put this sign? It is nonsense, of course. Look, today there are very sophisticated food technology. Who orders them? A manufacturer. His main interest it to produce as cheap as possible and to preserve as long as possible. So, there are different technologies to make a product cheaper, preserve longer and to influence the consumer by the means of advertising. If you are talking about bread, there is a substance such as cystine, it is used in bakery products. It is made from hair. It is a very delicate moment. There are also a lot of preservatives, emulsifiers, which may be unallowed for Muslims. Therefore, we study all these issues, permit them. We can say if such technology complies or not. As for cereals. Do you know that rice is already genetically modified? So, now there are also many problems with it. Then GMOs – Halal or not? It is doubtful. In Islam there are permissible and impermissible. And between them — doubtful. We fear it and do not put the sign ‘Halal’ on it. What areas of Halal industry in Russia are developed enough, and which still needed to be strengthened? We are talking about agriculture, medicine, tourism. Our IT specialists have developments in IT technologies. Halal is going to touch every sphere of life, it is a way of life: health, food, leisure. What can be developed? Leisure should be healthy, wholesome. The pharmaceuticals must be of the allowed components. There are many prospects, in fact.